A true story of a bereaved mother's journey to the dreamtime in search of her son. Our deceased loved ones are supposed to be dead. Laid to rest. Buried. Burned to ashes. Cremated. In some cases, their body is never found but declared dead. Physically inaccessible, unreachable, untouchable...gone. And yet, you've still SEEN your loved ones in a dream after their death, healed of disease, trauma and disability. Whole and holy, illuminated with grace, wisdom, insights and love. Logic tells you that a dead body can no longer function or communicate. Your religion tells you that no one can come back from the dead in any form. Your belief system demands tangible evidence. Friends and family listen, shaking their heads with worry that you've gone over the edge of grief. You think you're losing your mind but your gut says it's real and your heart soars with joy. Was it just a dream? Ancient cultures have long acknowledged the ability of the dead to communicate with us from the after-life in our dreams. Present day western culture and science cast doubt on the reliability of such occurrences. Even so, communication from the dead in dreams is reported from groups of people around the world regardless of culture, religion, location, age or gender. Bill Guggenheim and Judy Guggenheim, co-authors of Hello From Heaven, use the term "ADC", meaning "after-death communication" to describe " a spiritual experience that occurs when a person is contacted directly and spontaneously by a family member or friend who has died without the use of psychics, mediums, rituals or devices of any kind". (1) In their seven-year research of the 12 most common types of after-death communication they described a "sleep-state ADC" (2) as occuring in a dream. I prefer to use the term "dream visit" to describe this phenomenon that I believe occurs as a soul to soul connection in the dream state where we are free of the perceptions of the physical world. I am often asked why some people see their loved ones in a dream and others don't. Or why a prayer or sincere request to a deceased loved one to appear in a dream goes unanswered. How do we prove the validity of a "dream visit"? Why are dreams of the dead so random and unpredictable? Honestly, I do not know the answers to these questions and I am wary of anyone who says they do know. You won't hear me citing statistics, data or scientific proof about dream visits from deceased loved ones because I don't believe any of it can prove or disprove what I consider to be a spiritual experience. It is what it is...for you. I can no more judge your experience than you can judge mine. I cannot interpret your dream anymore than you can interpret mine. Only you know what it means to you but with feedback from someone who is not emotionally invested in your dream you have an opportunity to see it differently. However, I can share with you what I've learned to be true for me and how I discern the difference between a grief dream and a dream visit of a deceased loved one. The question is: how can we distinguish between the two when our deceased loved one appears in both types of dreams? Could it just be a case of wishful thinking in the throes of loss? As I've discussed in past columns, dreams of the bereaved mirror the pain and suffering of the griever offering solutions, self-reflections and healing. By accessing your personal dream dictionary and recognizing the associations you have to your personal symbols and universal symbols you can more easily identify patterns and universal themes that occur in your waking life that need resolution - hence identifying "wishful thinking". Remember, the dream ego has logged a lifetime of your experiences to get your attention. 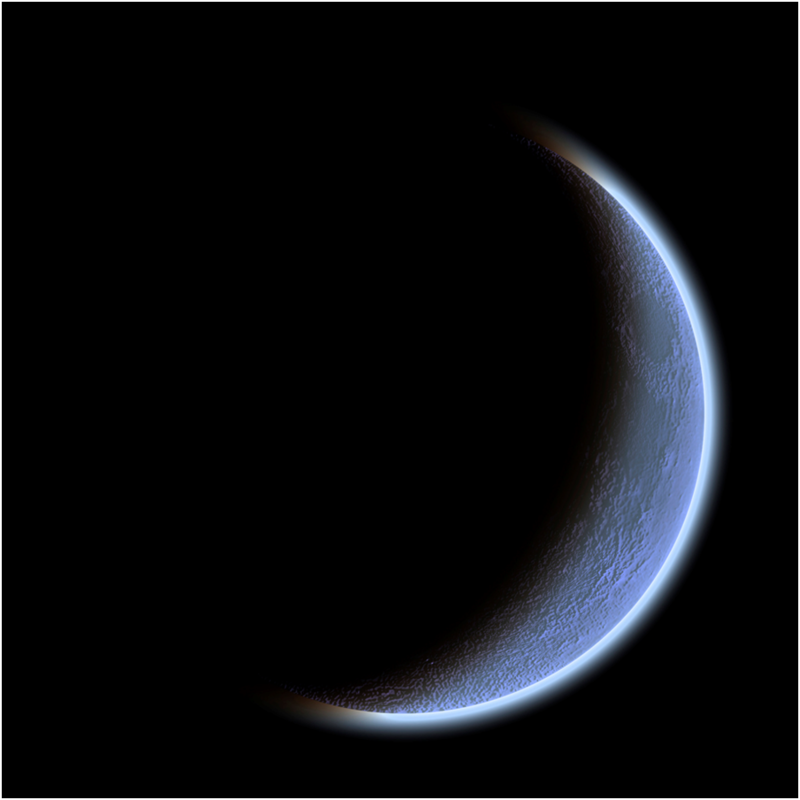 Given that, it is no surprise then, that the dream ego often uses our deceased loved one as a "symbol" to speak to us. "The scene was an instant replay of familiar occasions when I would find Dad crunched in his recliner struggling to catch his breath. I told Dad that I remembered what we were supposed to do, so I cradled his skeletal frame and carried him to the couch that had become his bed in his last days at home. I stretched out his body so he could breathe more freely. I left him for a moment to gather myself, turning away to grieve the deterioration of his body. When I returned, the scene changed to his hospital room replaying the scene of his death. I cradled him in my arms and cried. The dream ended and I woke up." In reviewing a dream like this without some knowledge of dream work, it's likely that a bereaved dreamer might assume that their loved one is still suffering after death. Why else would they appear this way? If we follow the guidelines mentioned earlier, using your personal dream dictionary and recognizing the associations you have to your personal symbols and universal symbols, it is more plausible to suggest that on its basic level, my dream addresses my doubts about my caregiving abilities and the despair of the inevitable result. On a deeper level, my father's illness is also symbolic of the deep anguish and suffering of anticipatory grief, as well as the grief I was experiencing at the time of the dream. And, on a biological level, the dream also depicts the current illness in my body. I was actually suffering from bronchitis, laid out on my own couch with the same medications used to treat my father. My grief over the loss of my father was so overwhelming, it literally hurt to breathe. "I was walking along a shoreline of what I thought was an ocean but what turned out to be a large swimming pool. The waves were gently lapping against the poolside and the water was a Caribbean blue. I wanted so much to get in the water and swim far away. Next, I saw a flash image of my Dad. He was in his late 30's, looking handsome and fit. Then, I heard him talking beside me and I became lucid. I turned and there was Dad now in his late 60's, healthy and vibrant! He said to me, "I loved being a father to you kids. I would do it all again for you, and for your children." I was overwhelmed with love and gratitude. it was wonderful to feel that deep connection with him again." The dream faded but that sense of peace and gratitude remanisn with me whenever I recall this encounter. And, my emotions swell almost bringing me to tears. Therein, is what I believe to be the striking difference between a grief dream and a dream visit. It is a spontaneous occurence in the present moment, a "close encounter of the spiritual kind", and completely out of my control. My father has shown me that he has transcended illness, pain and suffering to become whole again. He assures me that he is beside me, here in the present, not ahead of me in the future nor behind me in the past. We are speaking soul to soul and our connection is stronger and more conscious than ever before. This sacred exchange of love between us brings a sense of peace that heals a segment of my heart each time I recall the experience. This dream needs no further explanation or analysis. It is what it is for me...and I accept Dad's precious gift to me with gratitude. Accept the gift of your dream with gratitude and rejoice. It’s been 25 years. The bereavement landscape was very different back then. The death, dying and grief section in my hometown book store housed about a dozen dusty books. Bereavement Magazine read more like a newsletter than a publication. The two-and- a-half-hour round trip to attend a Compassionate Friends meeting was too stressful to endure alone. Making a call to “just to talk” had to be scheduled to take advantage of weekend rates and avoid long distance charges. The idea of actually having “face time” with a caller was still on the drawing board. Imagine, listening to a static ridden message on your voicemail machine because you were too overcome with despair or sheer exhaustion to answer the phone. It was different back in the day. Many of you cannot imagine a grief world without a Facebook page to memorialize your loved one, a website to create a foundation or a search engine to find grief resources. No profile page, Instagram, Snapchat or Twitter account to post your current status about a sweet memory, a dream visit, an angry rant or a cry for help. No instant notification alert from “friends” who like, love or feel sad about your current status. Grievers didn’t have these options back in the day. Since then, the internet has given rise to a network society of grievers who need only log-on to receive support. For many the cyber world is a viable path for healing. The first time I posted on a bereavement message board, I had to wait 48 hours for my message to be reviewed and posted, and the reply came at least a day or two later. I felt like I was waiting for a letter to arrive in the mailbox. I simply asked if anyone was dreaming about their child. The first responses were assuring yet heartbreaking. Within a month’s time, the message threads grew long and detailed resembling a journal entry with stories from parents yearning to talk to someone “like them”. Despite the long intervals, it felt more intimate, people seemed more respectful and considerate in their replies. As a young girl, I learned the art of proper letter writing from my mother, the 1SG of Communication in our Army family. Mom was a stickler about crossed out words, incomplete sentences and messy handwriting but her diligence sharpened my writing and self-editing skills. I proofread everything to be sure I’d written what I really meant before sealing the envelope. Growing up in a military family, we had more address changes than I want to remember. Now, I have two email addresses attached to umpteen log-ins for a gazillion personal accounts. Back in the day, overseas “Air Mail” delivery took two weeks and with the turnaround time it would be four to six weeks before we received a reply. Compare that with a two-second email or instant message and you can see why I was easily enticed by the allure of electronic mail. Instant messaging delivers a thought or a rant in less time than it takes to type it and sender’s remorse sets in…or not. My mother would be horrified by the ease in which people communicate today posting memes and status updates containing vulgar language and explosive sermons to voice their “truth”. I am as well, and I’m often dismayed as I become ambivalent about the value of the tool to communicate effectively. It seems we take for granted the click of a like button (and more recent additions of the sad, angry or wow emoticon) not so mindful of its full meaning but assuring ourselves that we’ve “connected”. Lightning speed brings instant contact but is it a real connection? While I’m fortunate to have Facebook friends who are respectful and thoughtful in their postings on my page, others are not so fortunate. I cringe when I read inflammatory or judgmental comments and opinions from friends. Especially on pages designed for bereavement support. It doesn’t feel supportive, helpful or loving. There are no boundaries anymore. Seriously, some thoughts are better left on the keyboard. Why aren’t we editing ourselves? Why aren’t we thinking twice about what we post and how the recipient might perceive it? Are we posting with integrity to inform and influence or posting a provocative meme to shame, demean or feel superior? Have we substituted emoticons, memes and gifs for meaningful interaction because we’re too busy or detached to be present to our own imagery and metaphors of loss and grief… joy and peace? I don’t have the answer but writing about it gives me some perspective and keeps me from going down the rabbit hole. Perhaps, because I delve so deeply in my inner world of symbols and imagery, the digital world appears too superficial. So, I’m a middle-aged baby-boomer and I’ve adapted to using social media in the present bereavement landscape to stay connected using this digital blog. I use it for marketing my dream work business, presenting workshops and correspondence with clients. There’s no getting around it. One has to remain current if I want to reach you and make a difference. Forgive me if I’m whining, I really do appreciate technology. However, I’d rather be face to face with you listening intently with an open heart or engaged in a healthy, passionate discussion. Emoticons, caps, exclamations and hashtags can never replace a tender look, a warm touch or sitting in silence and being present to a moment of grace. Those are the connections I yearn for these days. For so long now, it's been just Kevin and me on the conference circuit. We know the routine and the need to be flexible - shifting and adjusting for what is most needed at the time, and always having a back up plan. There is also the added gift of a synchronicity or two reminding me that my work has purpose and meaning, and that I am never alone. This year, my daughter, Amber joined me as a first-time presenter for the sibling program at the 2016 Compassionate Friends Conference in Scottsdale, Arizona. I couldn't have been more excited to have Amber with us and introduce her to my friends and colleagues. My heart sank. I knew how important the visual piece would be to her presentation. Amber had written an insightful talk for the sibling workshop titled, A Year of Firsts, and paired it with a slideshow of photos from her childhood beginning at the age of eight-and-a half to illustrate her own year of "firsts" without Kevin. It was personal and interactive, and my experience told me it would make a tremendous impact on the sibling attendees. Putting up a brave front, Amber's eyes brimmed with tears conveying her deep disappointment. All her enthusiasm and focus was obliterated by one glitch in the program. As a special education teacher working with students with autism, Amber has an innate skill-set of flexibility, compassion and calm that is admirable and inspiring. But this class was different - these were her people and she didn't want to let them down. I immediately shifted into Fix-It Mom mode connecting her with the appropriate people. Adam, the tech man for the conference did the best he could with what he didn't have. I'd been down this road too many times and it didn't look good. It was time for a back-up plan. While Amber was attending a workshop, I went back to the room to consider the options. It was evident there was only one - create three rows of half circles and set up my laptop with the larger screen for a more intimate viewing. It could work! Later, Amber and I returned to the room where I enthusiastically laid out the plan! Amber wasn't buying it and broke down in tears. My heart went out to her. I remembered my first time and the immense pressure I felt to give my peers hope and something worthwhile to take home. I hugged her and said something about being flexible and open to what it could be. Intuitively, I knew that something bigger was in play. It wouldn't matter how many times she rearranged the room or what size screen she used. Amber was being asked to let go and trust that she would be given everything she needed when she needed it most. In an act of faith, Amber would have to surrender all that she had planned to make space for grace to enter the room. There was nothing more I was supposed to do but be present to Amber and lift her up. On cue, the first sibling bravely walked through the door, alone and expectant. "Grace" was nine-years-old, open and already seasoned in her grief. Unassuming, Amber instinctively connected with her nine-year-old counterpart in grief. With great empathy, Amber created a space of trust and respect for Grace to be at ease. Reaching out, they met on common ground and began to fill the empty space between them with story-telling and imagery. They were a generation apart and yet "sisters' who shared an understanding beyond their years. No longer needed, I slipped out unnoticed by the other siblings filing into the room. It was another "first" for me. I knew this time I couldn't back as planned to "check" on Amber as I had throughout our 25 year journey. Witnessing synchronicity in action was magical. It filled my heart with joy to know that my girl was not alone. It's all about that back up plan. Plan B is about being present to the greater plan so that grace can move freely for transformative healing to occur. I couldn’t have been more excited for them. In the weeks prior, I told Kathy they would absolutely lose their minds over this precious gift! It would be unlike anything they had ever experienced. The due date was squeezed between a run of notable June birthdays and special events. I lifted them in prayer daily, waiting for the announcement to come by text or social media. Finally, the photo popped up first thing in the morning on my newsfeed and the pics started downloading on my phone. It took my breath away and my heart soared knowing the indescribable joy of welcoming the next generation. 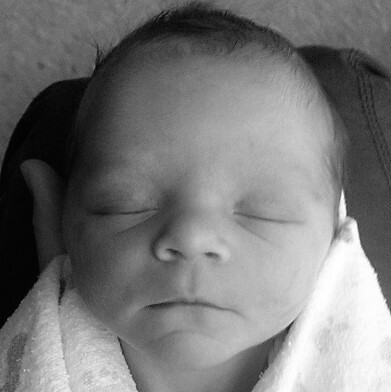 Swaddled in a nursery blanket, his newborn face filled the screen. Michael, one of Kevin’s best buddies, married now, had become a father for the first time. As the sands of time shifted to accommodate this milestone, I felt myself losing ground. This time, after so many years of “firsts”, it was not the tides of grief nor the sandy grit of envy that brought me to my knees. Swept under by a rogue wave of emotion, tears rushed to the shores of my cheeks in recognition of a knowing deep within my soul. I am certain, that in a final send off and blessing, Kevin kissed the forehead of Sawyer James just moments before he dropped from heaven into the arms of his parents. I've wanted to blog about dreaming for a long while and one thing or another (life!) has distracted me from creating this page and sticking with it. I want to do it but I don't want to do it every day! I'd rather write when the spirit moves me to do so - when its relevant and needed. Goodness, it's taken me this long just to come up with a title. I'm still feeling distracted and haven't written anything other than this rambling excuse! 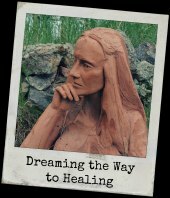 That said, I really do love the title...Dreaming the Way to Healing. Until I get my thoughts together and form something intelligible, for a while I'll post some past musings from the Dream Light Connection newsletter. As I recall the dream and write this, I can feel all my "motherly" emotions and love for my baby. That felt good in the dream, as it does now...the remembering. If this was your dream, you might have stopped there, satisfied with reliving the memory of being a mother again. You might have internalized those warm feelings and gone on with your day. I could have too, except for that ending about the lucid thought nudging me on to go deeper. It's a significant break in the flow of the dream urging me to become conscious and awakened to a higher thought. This is an important marker in the dream, indicating that I am willing to see something more. I had the dream in January, the month of the 23rd anniversary of Kevin's death. My mother-in-law (and Kevin's grandmother) died a few weeks before the holidays. It was an emotionally charged time cleaning and sorting through her belongings. I found several of Grandma's personal notes tucked away in drawers and boxes expressing her unbearable sorrow about her beloved grandson. Grandma's unspoken grief of 23 years triggered memories and my own grief - reconciled long ago but animated once again. As an experienced dream worker, I recognize Kevin's appearance in my dream as being symbolic of my past self - "soaking wet" from the tides of grief. Clearly, this is not a "dream visit". In "changing" Kevin's wet clothing (my drenched emotions), I realize my innate need and desire for healing yet another layer of this trauma. I mindfully changed my "grief clothing" and that point is a profound transition in the dream to a higher consciousness. "I had a lucid thought that Kevin's appearance was about the book." I see that the dream was affirming my choice to awaken and see more. The depth of my dream work these past two years enabled me to develop Dreaming Kevin's principal message from hope to transformative healing. I could not have accomplished that without wearing my grief clothes again, soaked in tears. In the process, there were moments I had to revisit and emotions I had to wear again. The dream shows me that the protective mother within me instinctively knew when to strip down, bare it all, and dry off. I love the handing off between my mother and me - a symbolic transfer of the naked issue at hand. I love the influence of dream work and its power to transform our pain. Are you willing to change your clothes?